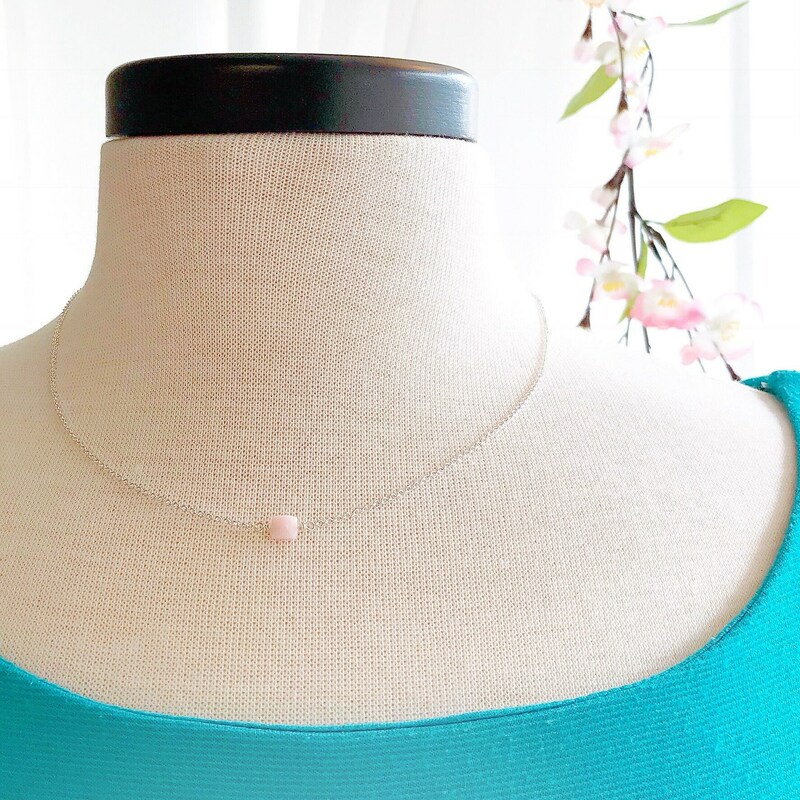 This dainty pink opal necklace is perfect for everyday wear. 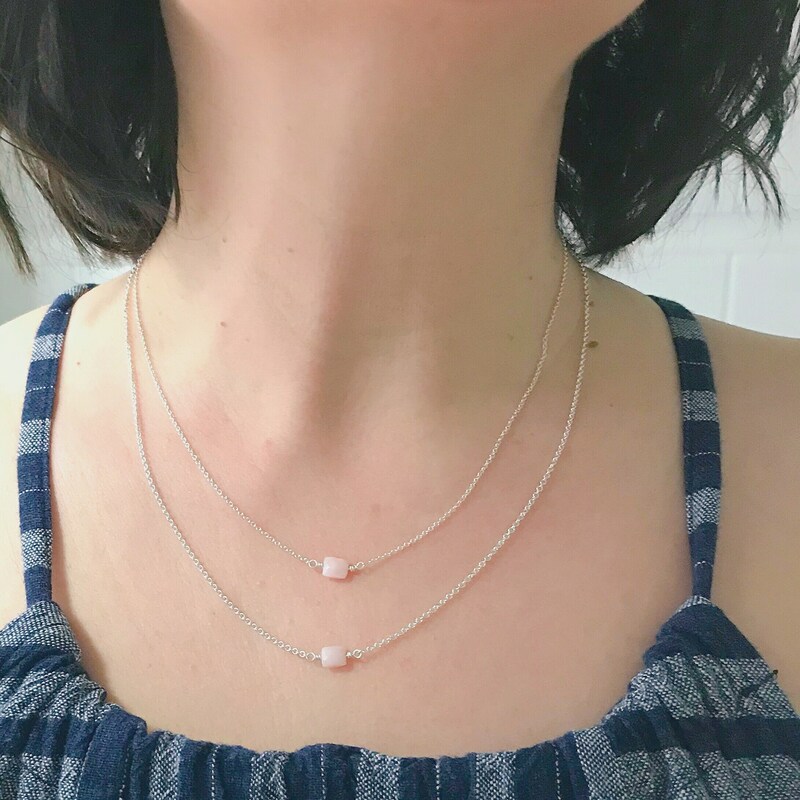 The delicate sterling silver cable chain features a single faceted pink opal. 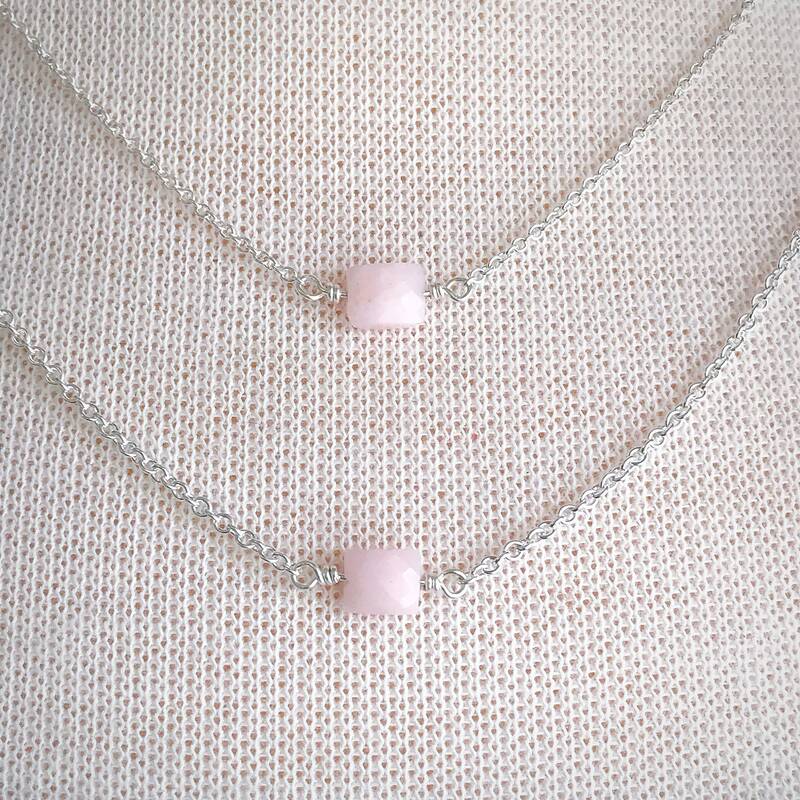 The pale pink bead measures 6x5mm and is handwrapped with sterling silver wire. The necklace is finished with a sterling silver lobster claw clasp. 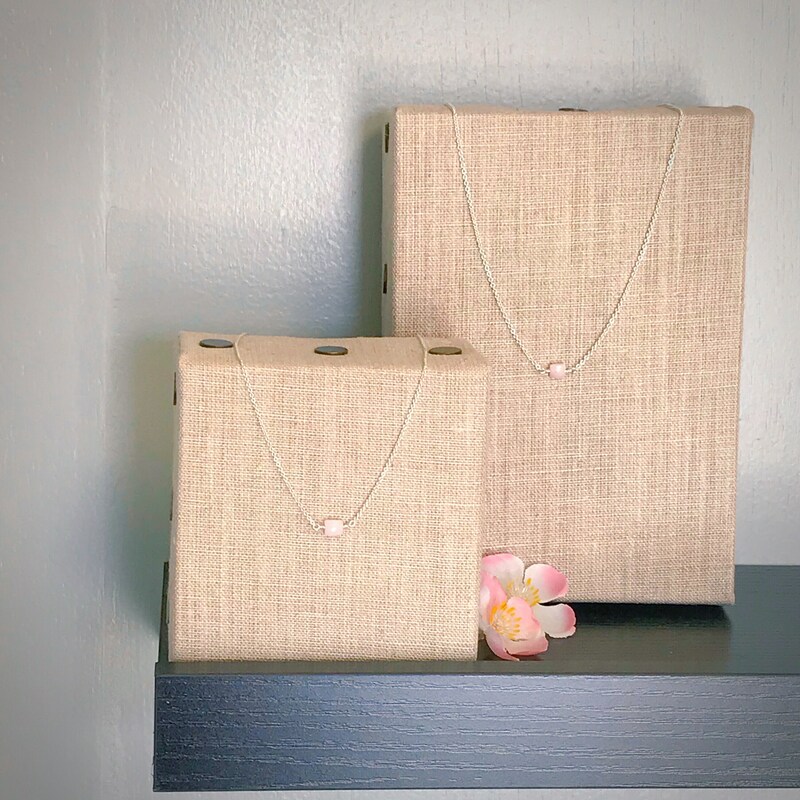 With it’s subtle pink color and delicate chain, this necklace makes a lovely gift for both teens and adults. This necklace is available in your choice of 16 inch or 18 inch. Please be sure to select your desired length when checking out.